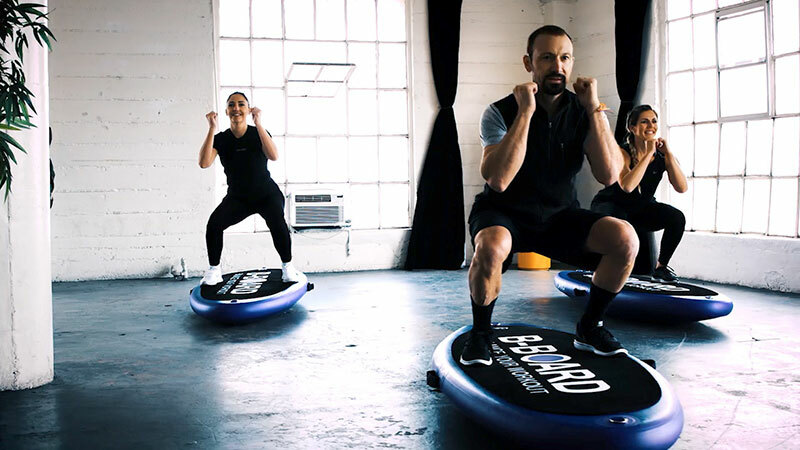 B-Board® BOOST is a Full Body Workout combining different fitness technics and balance that will boost your metabolism and engage your core muscles harder than on stable ground optimizing your results. Choreographed to music, B-Board® BOOST is a 45 minute fun workout. Modifications will be provided by the Trainer helping you to achieve your goals. My balance is not very good and I’m afraid not to succeed to stand up on the B-Board®. The bottom part of B-Board® is inflatable and for your first session, you will be able to use a low instability just to take your marks. The Trainer will be there to explain exactly the best ways to use B-Board®. I’m afraid not to succeed to follow the movements during 45 minutes. The Trainer will be there to help you to complete your session. In addition, there are a lot of modifications to help you to continue the workout until the end. I’ve got problems with my joints. Is B-Board® a good training for me ? Yes ! B-Board® is actually based on proprioception which is a very interesting technique to strengthen the joints (ankles, knees and hips). The proprioception is also generally used for preventing injuries like sprain or dislocation. Proprioception is also a good way to reconnect mind and body and prevent falls. B-Board® BREATHE is a combination of mind body exercises like Pilates, Yoga, relaxation and stretching that will improve your mobility, flexibility and balance in a relaxing way with beautiful songs. I’ve never practiced Pilates or Yoga. 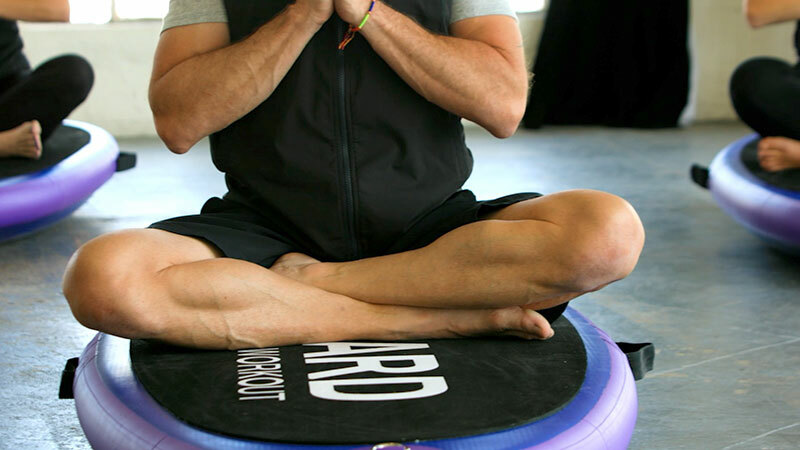 B-Board® BREATHE is a great workout based on Pilates and Yoga but not only. You will practice stretching pose for your mobility and flexibility and some relaxation to reconnect mind and body together. The Trainer will give you a lot of modifications to help you to achieve the exercises and the poses at your rhythm. B-Board® BOUNCE is a 30 minute class dedicated for children learning how to move, jump and bounce during this fun class. Some exercises will help them to stay focused like Yoga combinations and other ones will help them to use their overflowing energy. Is B-Board® BOUNCE safe for my children’s growth ? Yes ! All the movements will be done on the B-Board® and, as B-Board® is inflatable, the air will reduce the tension on their joints. B-Board® BOUNCE is based on playing, moving, jumping, smiling, what children do all day long ! They need to spend energy and need also to focus on cues. For that reason, they will practice also some Yoga combinations.